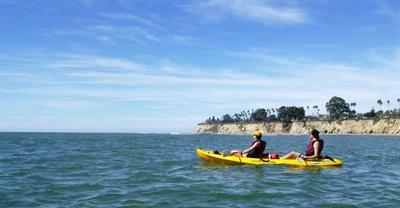 Paddle along Santa Barbara’s beautiful waterfront! 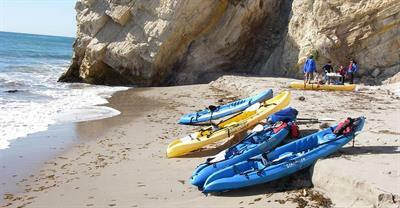 See the American Riviera from a unique perspective. Our journey takes us through the harbor, along beautiful beaches, past sea lions and kelp forests and around the historic pier. 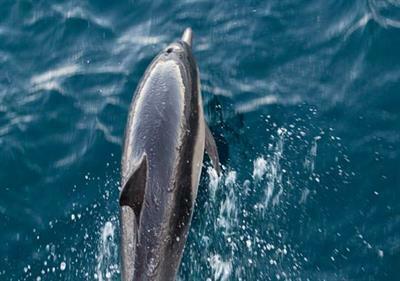 If you’re lucky, dolphins and whales may be spotted swimming along this section of the coastline. Guides will offer insight in to the history of the region as well as local marine ecology. The group will stop on the beach for lunch, before completing a large loop, ending back at the harbor. 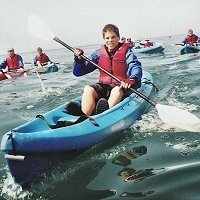 People love this paddle because of the relaxed pace and incredible marine life as well as taking in the views of town from the water. Starting point and time: Santa Barbara Harbor, 10am-2pm. Level of difficulty: Easy to Moderate. Children under age 5 not permitted. Paddling time and distance: 3-4 miles. Includes: All necessary kayaking gear, deli style lunch, comprehensive instruction, knowledgeable guide, and discussions of natural history and marine ecology.